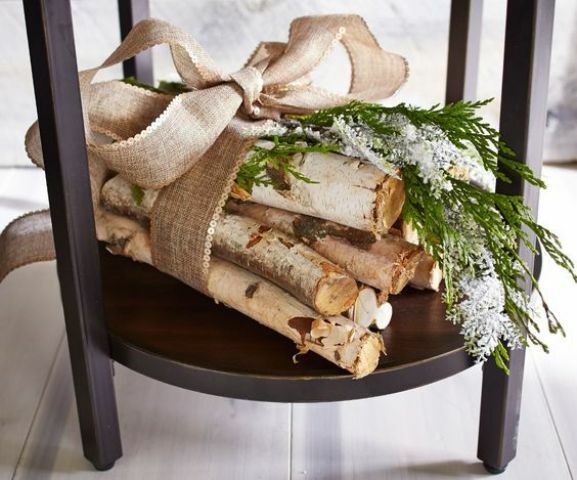 Rustic decor is extremely popular today because it makes any space cozier and more welcoming plus it’s budget-friendly. 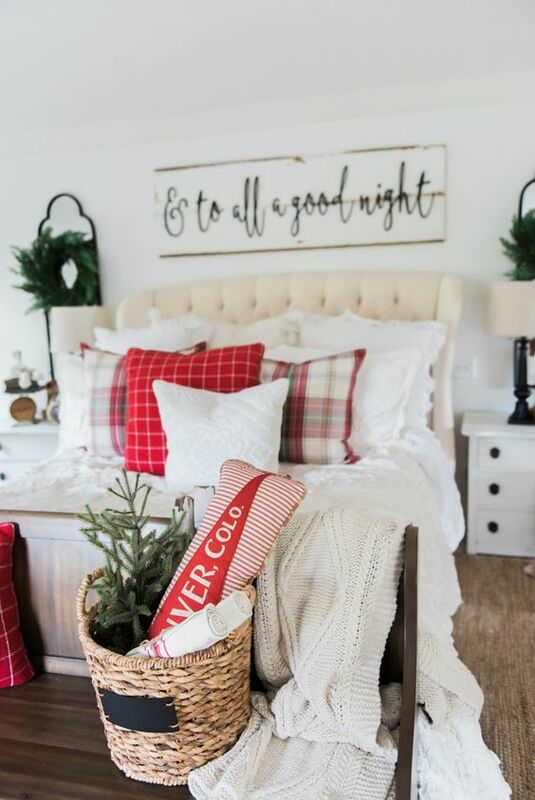 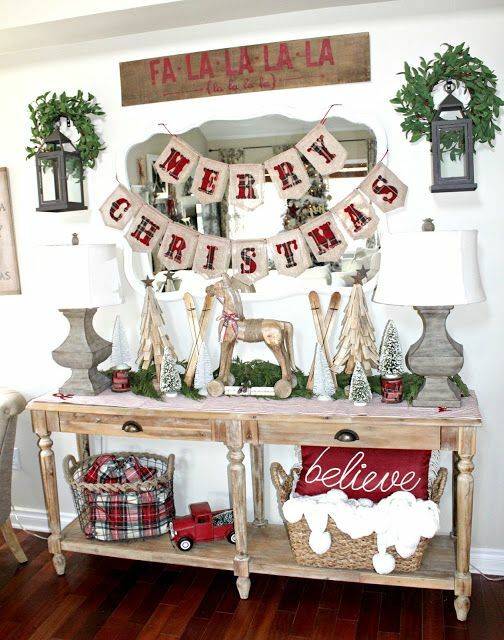 Rustic style is a great idea for Christmas decor – what can be better than a rustic Christmas space? 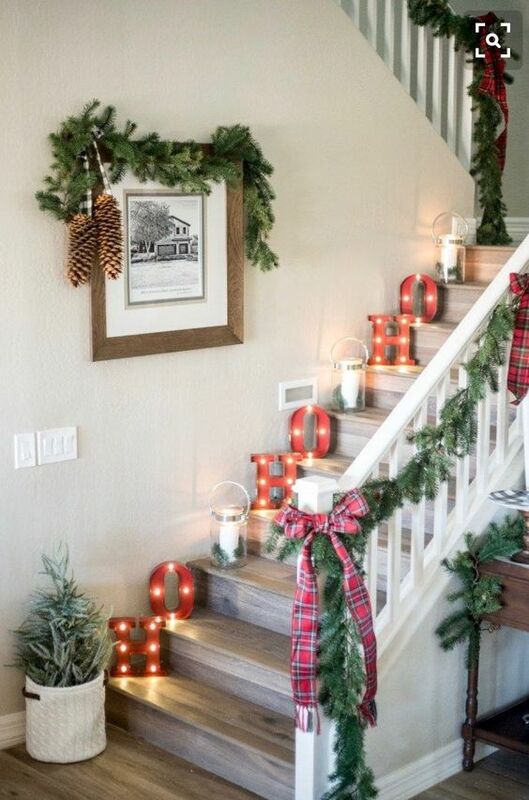 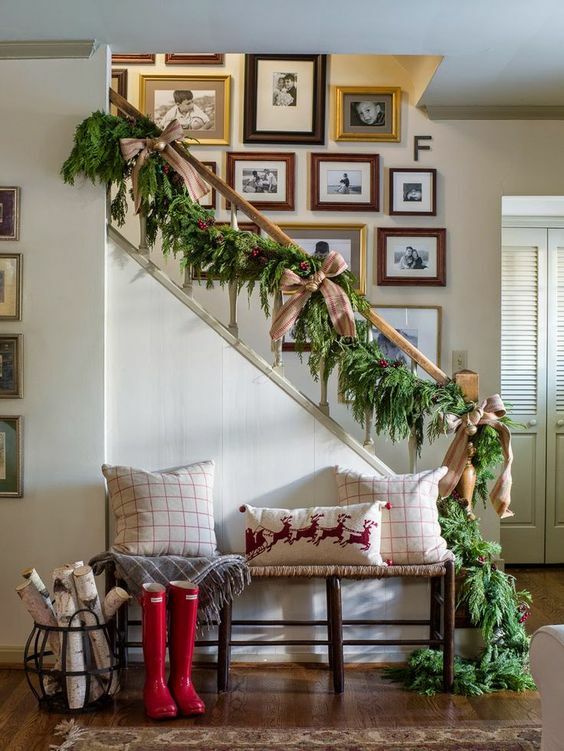 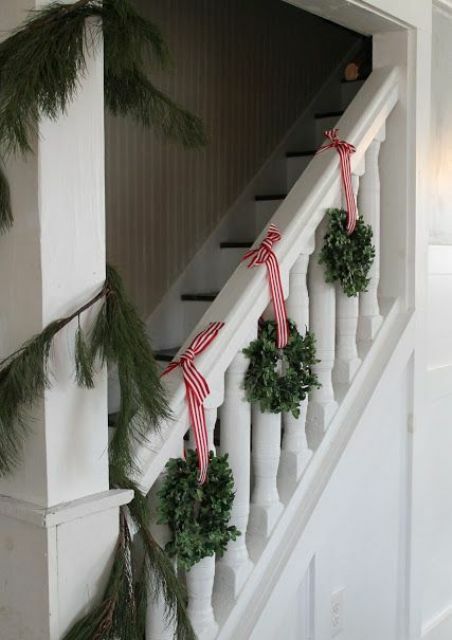 Today I’d like to be more precise and tell you how to create a Christmas farmhouse space. 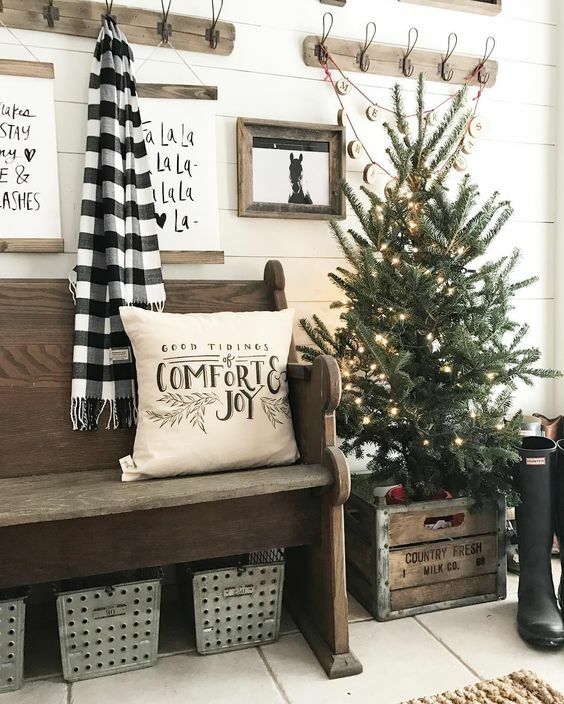 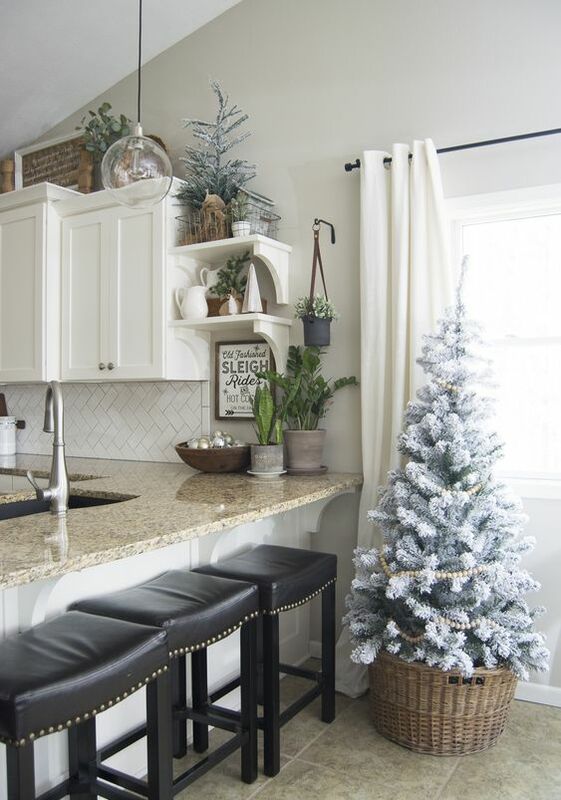 You can be surprised that black and white are a classic color scheme for a farmhouse Christmas space. 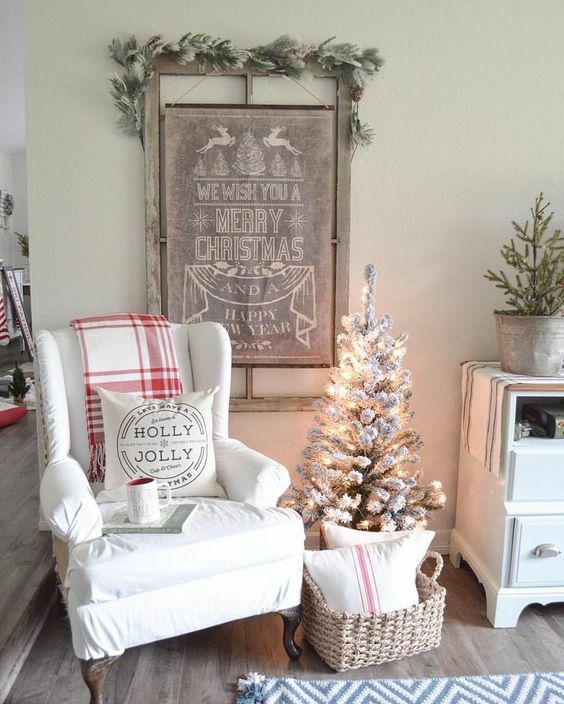 though we are used to see emerald, red and white, black and white are a better idea for a farmhouse look. 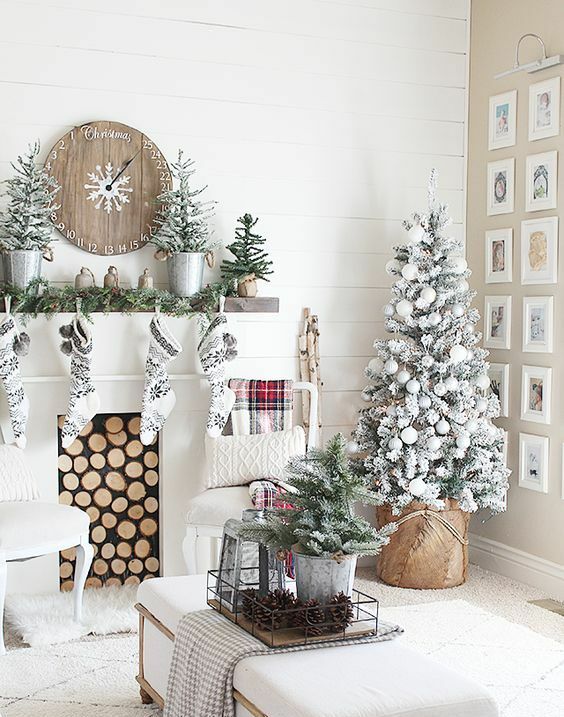 Neutrals are also welcome – all those greys and off-whites will make your space feel like in a winter wonderland. 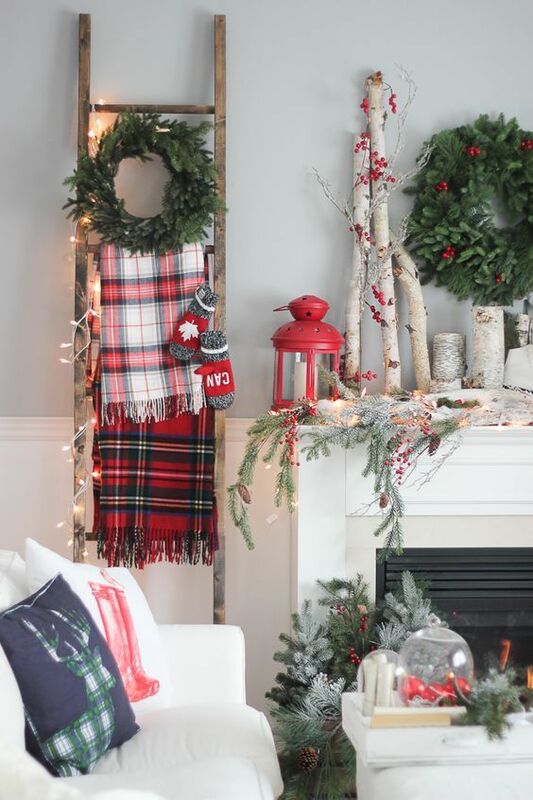 Some red touches will be proper for Christmas, besides red goes well with a black and white combo. 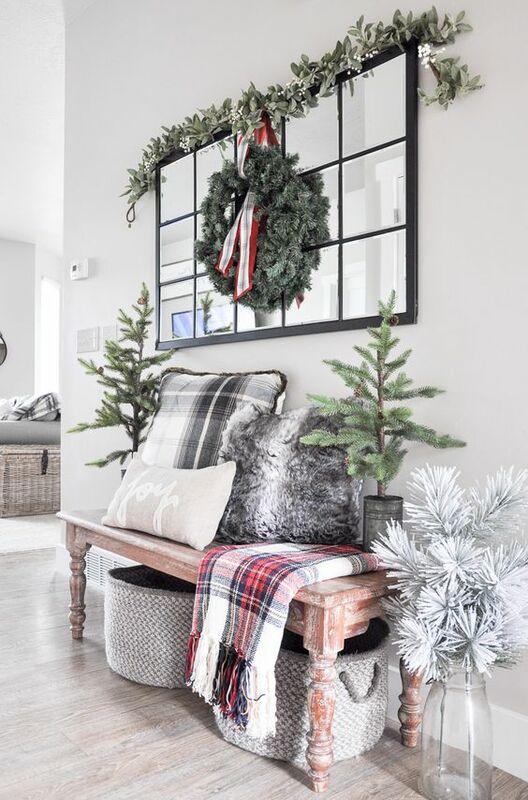 As for prints, buffalo check or traditional plaid is right what you need, it looks rustic itself. 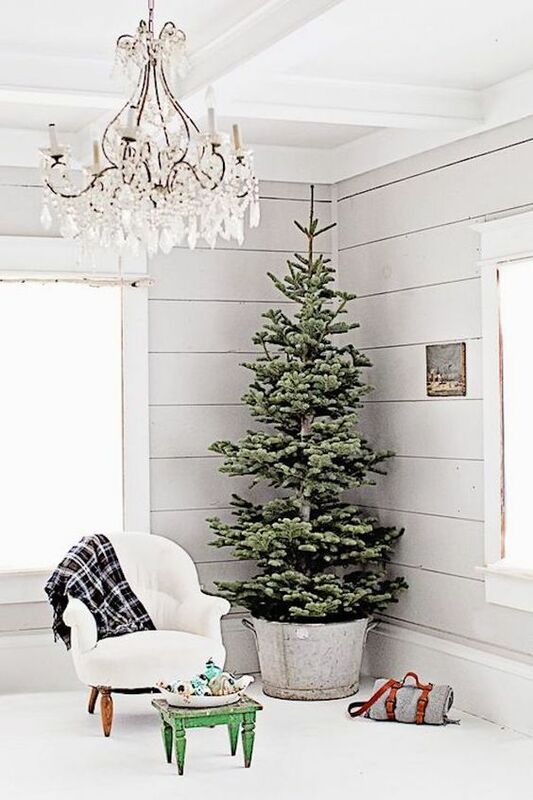 Snowy and flocked trees are preferable for farmhouse Christmas decor, they looked relaxed and very wintery. 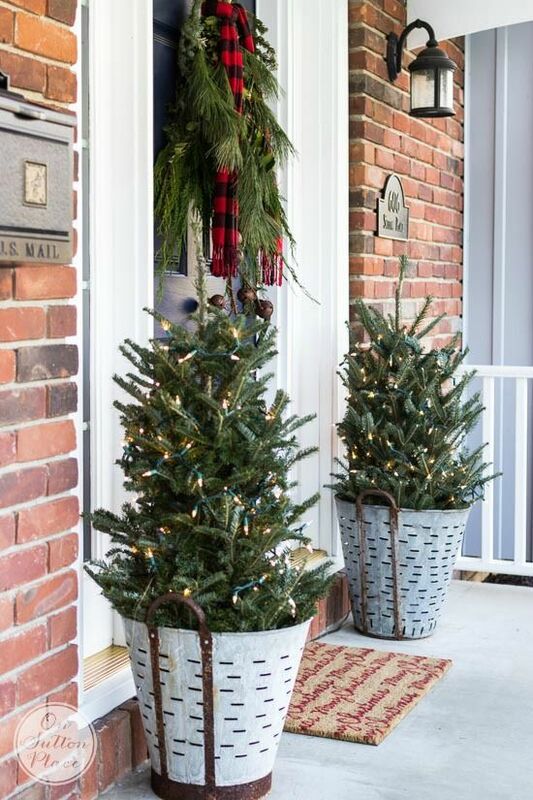 Place the tree into a bucket or a basket – this is truly a rustic idea that will highlight your style. 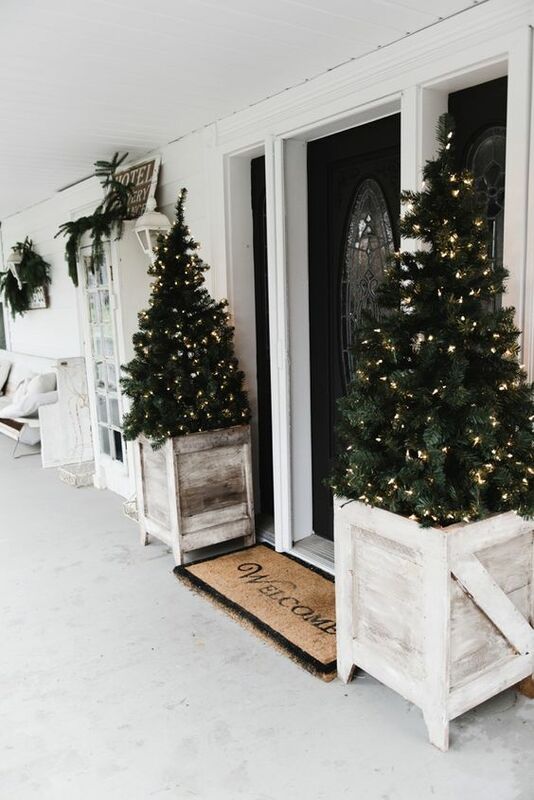 Another idea is a wooden box or a crate, the latter will add an industrial feel to the space, the box can be whitewashed for a proper farmhouse feel. 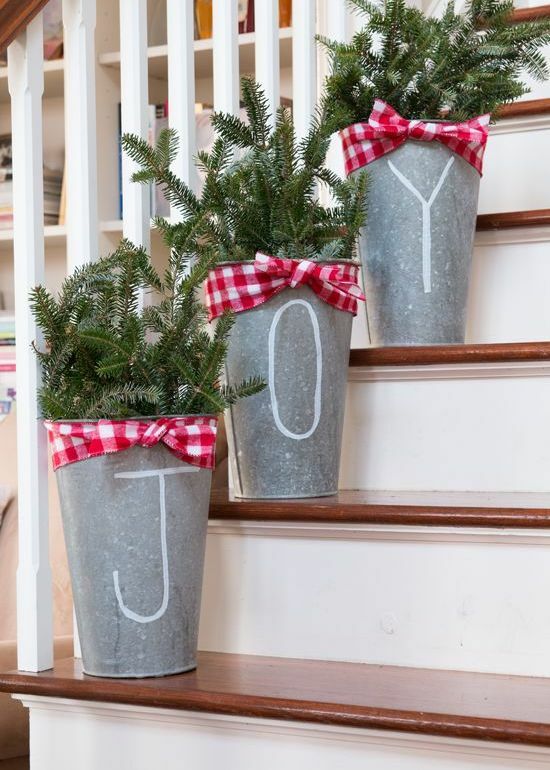 Opt for some additional trees or branch arrangements in buckets, bottles, baskets or crates. 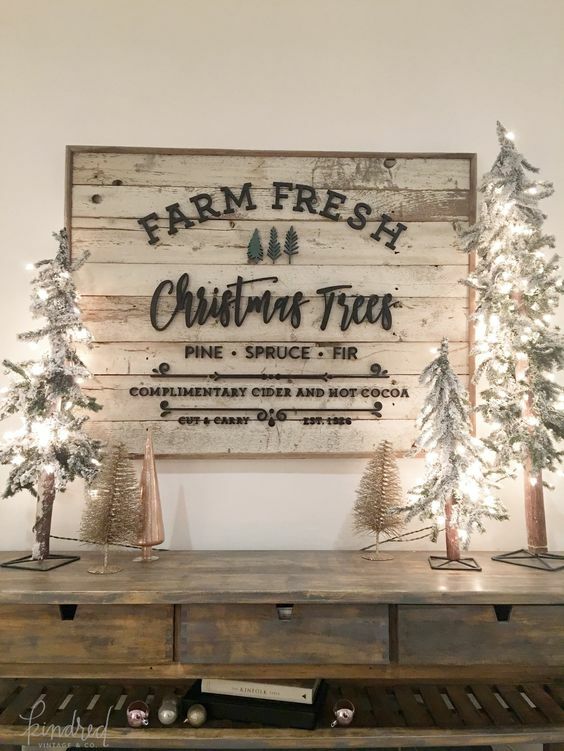 To add a cool vintage farmhouse feel to your space, make some proper signs and lights that fit the style. 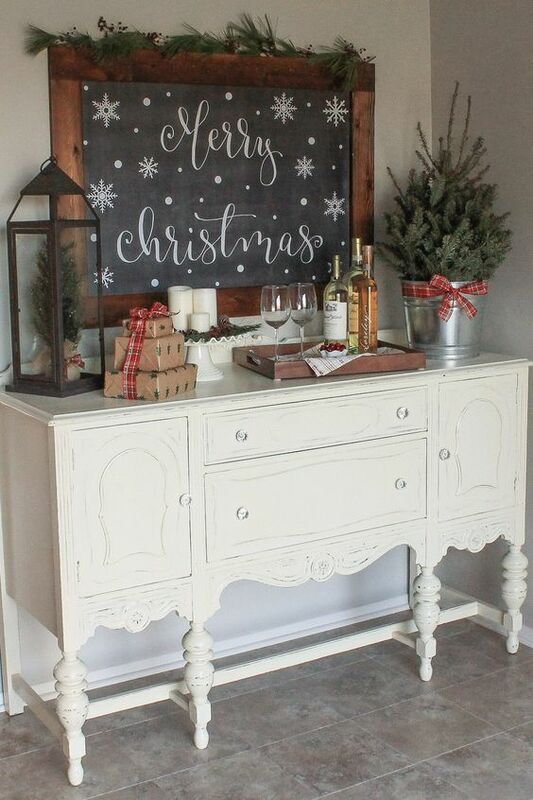 Chalkboard signs, shabby pallet and wooden ones and marquee lights are right what you need to create an ambience. 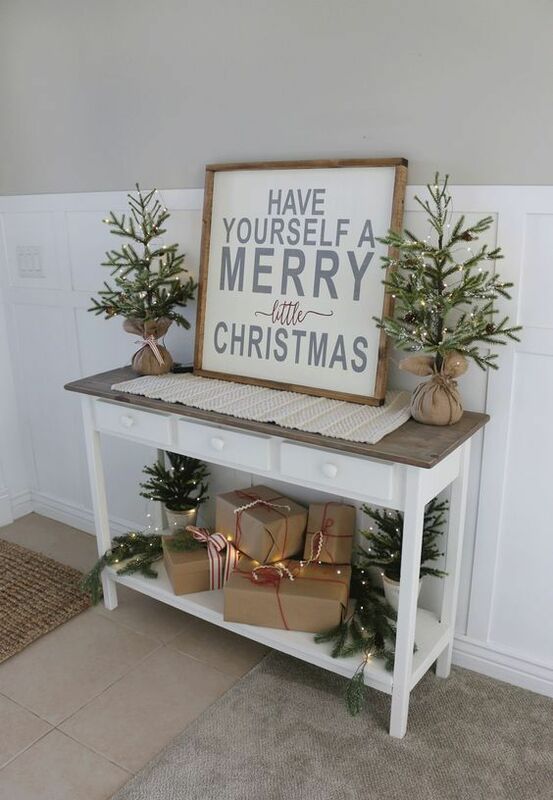 Don’t hesitate to make framed chalkboard signs because they can be used after the holidays, too. 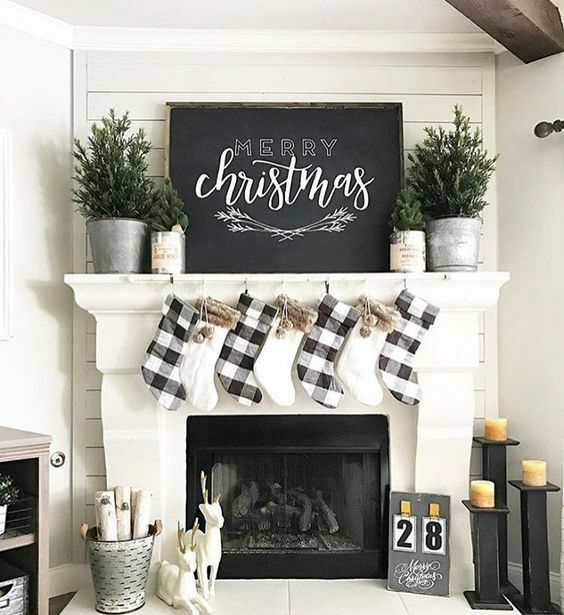 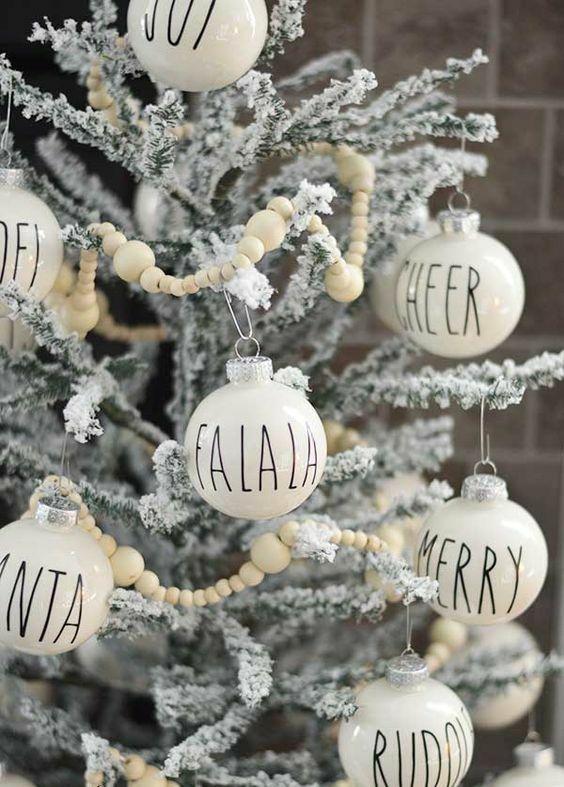 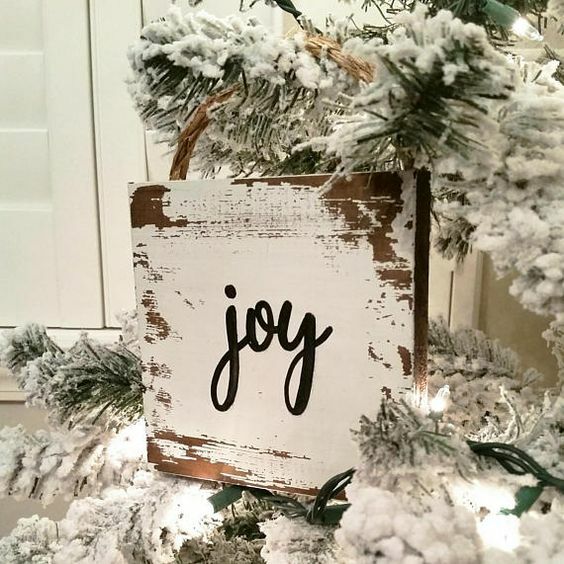 You can make some proper signs in the colors you need yourself, add a snowy evergreen garland and some pinecones to the piece or hang a little sign as an ornament. 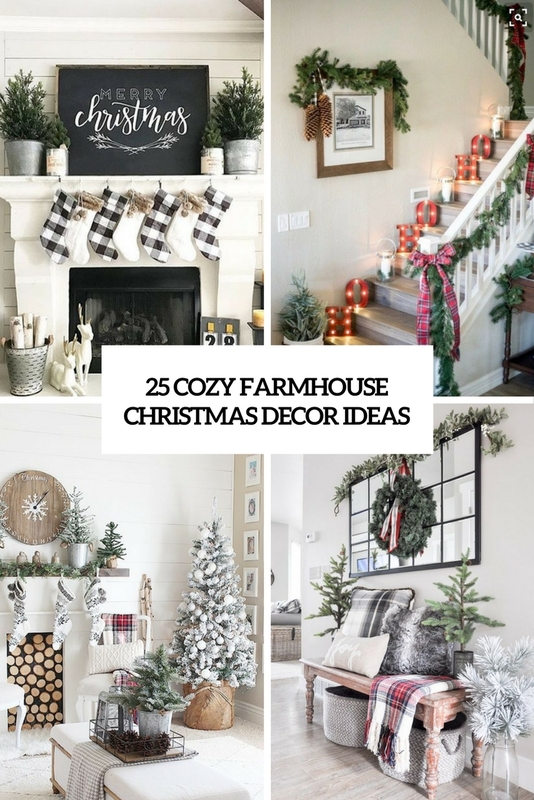 There’s no Christmas space without at least one wreath or garland, and you should make some for your farmhouse decor, too! 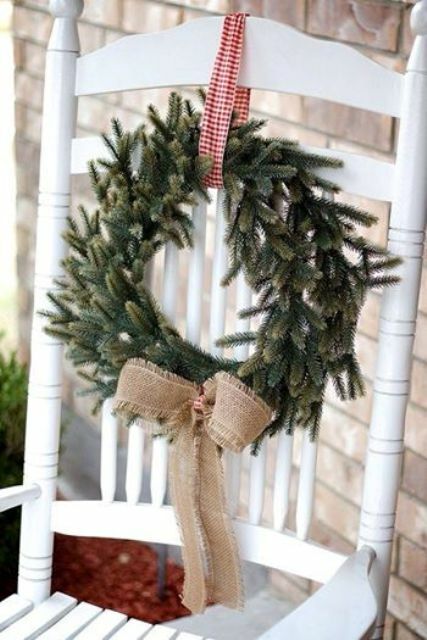 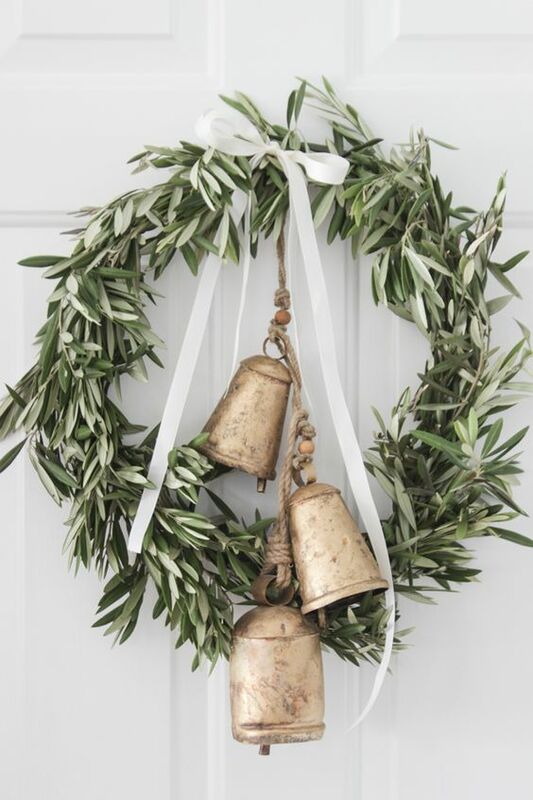 Make evergreen, cotton and fresh greenery wreaths and garlands, add burlap and checked bows and ribbons for hanging them. 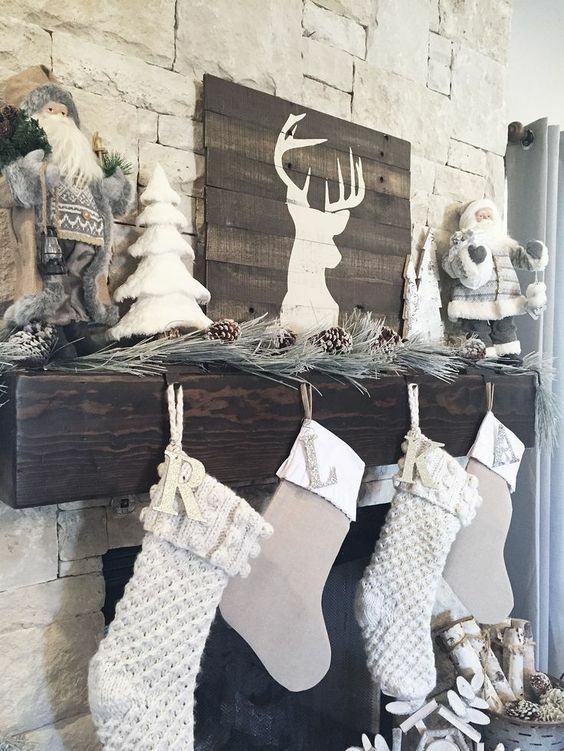 All kinds of rustic detailing is welcome, choose what you like and enjoy!